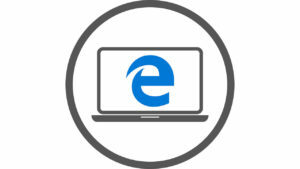 Bing is Microsoft's search engine, which since it's launch in 2009 has won many fans with its design and innovative video search. 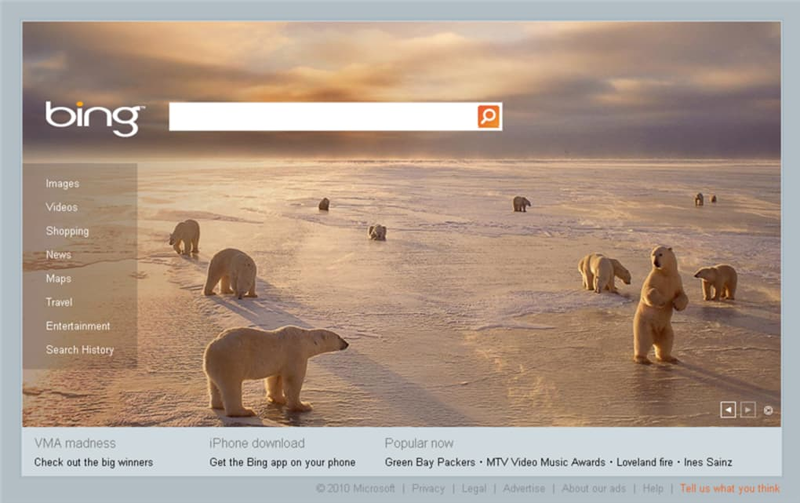 The Bing search engine is visually impressive, with a new striking photo behind the search box every day. Microsoft calls Bing a decision engine, but while the results are often different to those you'll find with Google, it's difficult to see what's better about Bing. 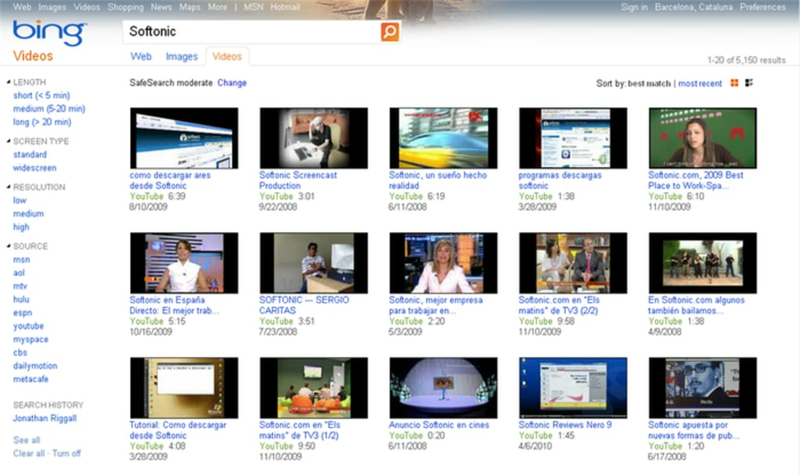 Bing's video search is really advanced, with excellent results which will stream as you roll over them. 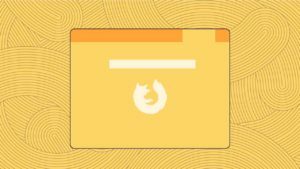 In this way you can preview videos without leaving your search results, which is very useful. 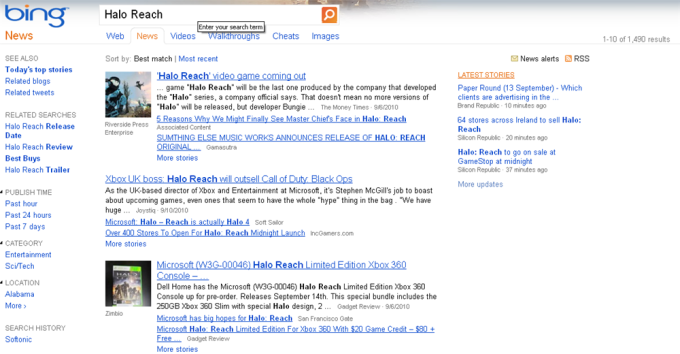 Another cool Bing feature is the advanced search. Unlike Google's, this appears without going to a new page, which means you don't have to leave your search results while filtering them. 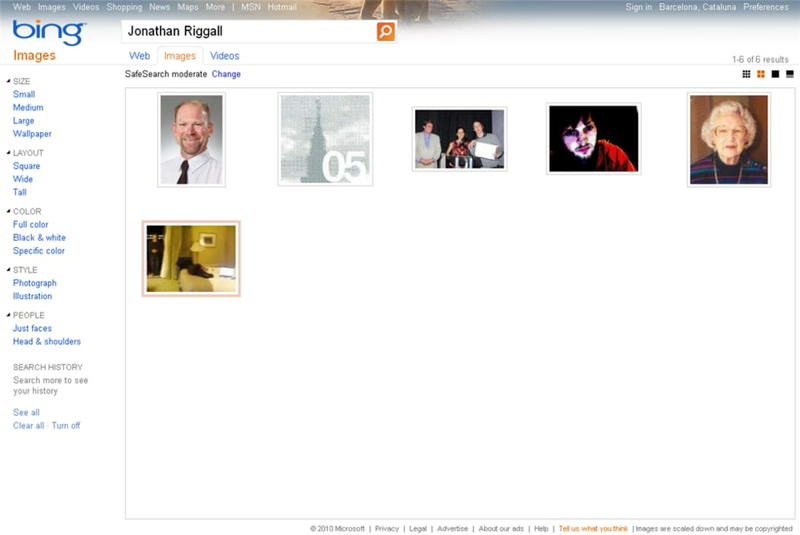 Bing's image search is excellent, and its powerful filters make it an excellent tool for wallpaper finding. Bing may not stop you using Google, but it's certainly a good alternative, and always worth checking out.